Image: Four polyglobular flutes from private collections. Polyglobular/ball & tube flutes, from several PreHispanic cultures. The dog form on the right uses two balls & one hollow tube, with a solid support below. Sometimes, the hollow 'tube' is formed by the join or constriction between two or three balls, as in the three additional flutes. 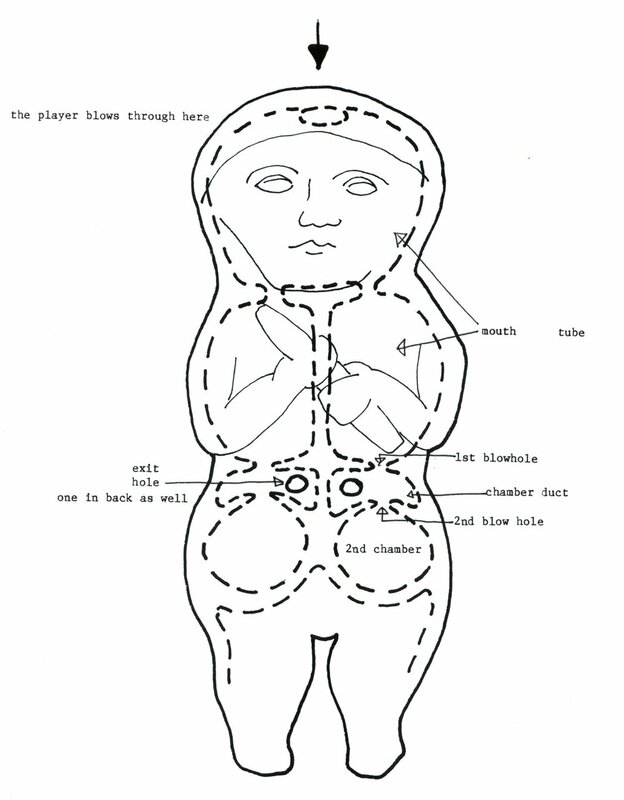 The polyglobular form creates an irregular inner volume with an irregular harmonic structure. Thus, each flute has its own distinct melody for a scale. Orient-Archäologie Band 8, Studien zur Musikarchäologie III; Ellen Hickmann & Ricardo Eichmann, Eds. Verlag Marie Leidorf Gmbf, Rahden/Westf, 2002, Germany. These ancient flutes of Meso-America are evidence of a unique musical sensibility. 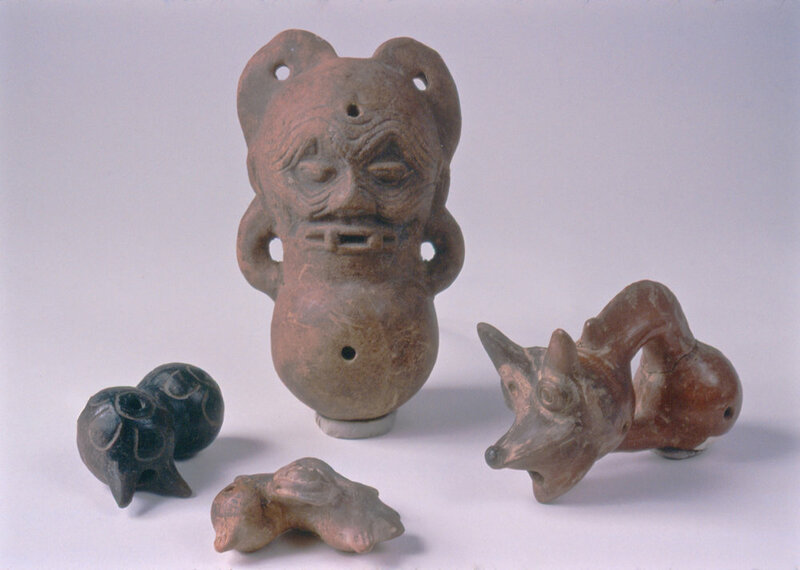 Instrumental concepts were widely shared: versions of the chamberduct flute are found among the Olmecs, the Maya, and the Bahia culture of Ecuador; and versions of pitch jump whistles & flutes in Veracruz, among the Maya, the Bahia culture of Ecuador and the Moche in Peru. Although we see categories of instrumental types, some of great complexity, as well as shared symbolic content, each instrument seems to be unique. Perhaps their sight and sound echo their ceremonial usage, not an external sonic design. Many instruments are acoustically irregular, which allows for rich timbres and unique melodies, but restricts the capacity to be tuned to specific scales. 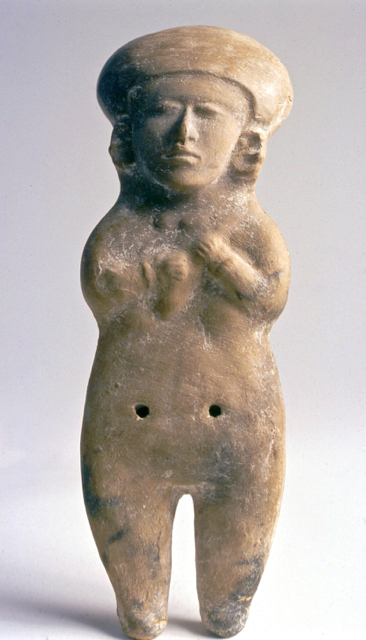 Ceramics was a major technology in Pre-Hispanic cultures, readily available for instrument construction. The use of clay for so many musical instruments may have both reflected and influenced the apparent lack of standardization. Some acoustically complex instruments emerge naturally from the ceramic process, which engendered the amazingly diverse world of the ceramic Pre-Hispanic flutes.